Improving the shopping experience across our three brands, CTM, Italtile Retail and TopT. I also stated that growing the Group’s store footprint would be a key objective, with the goal of expanding the TopT network to all nine provinces by the end of the 2017 financial year. At the outset we noted that BOP would be a three-year phased process, and I can report that we are on track with our schedule. BOP has been implemented in all segments of the business and in some instances has already delivered good results, but significant work needs to be done in CTM and the supply chain specifically to realise the potential of this initiative. We are now at the point where every growth lever needs to be capitalised on to achieve the powerful benefits BOP is designed to deliver. While we continued to invest in our personnel through skills development and intensified training, I believe that we should have been more proficient in our efforts to structure our staff requirements better and retain and reward our staff complement more effectively. Building a deep resource of professional, retail-orientated individuals is one of our major thrusts and we will continue to commit significant means to this goal. In the TopT stores training and development was prioritised across the personnel complement, namely the franchise partners, store operators and sales assistants, aimed at providing individuals with the tools to improve performance management and enhance the shopping experience through better store layout, merchandising and selling skills. In terms of the goal to expand the TopT network, we successfully opened 14 stores and the brand now has national representation in all nine provinces. I believe that progress was achieved in certain areas of the business, however we have extensive work to do to attain our dream of becoming the best retailer in the world of tiles, sanitaryware and ancillary products. While the operating environment proved challenging in light of constrained discretionary disposable income and low levels of consumer confidence, we remain firm in our belief that we cannot allow the external environment to determine the success of our Group. We are confident that growth opportunities exist within the business, and we are committed to optimising on those to attain our targets and ensure continued consistent returns for all stakeholders. The Group’s sales and profitability for the period were below management’s expectations due to a combination of external and internal factors. The former relate to the general decline in discretionary spend and subdued consumer confidence which led to homeowners deferring investment in their properties, while the latter refers to the Group’s over-stock position, inadequate control of costs in the business and inefficient structuring of the manpower complement. System-wide turnover for the period increased by 4% to R6,21 billion (2016: R5,96 billion). Trading profit grew 2% to R1 063 million (2016: R1 047 million). I am pleased to report a 47% increase in cash reserves at the end of the period to R511 million (2016: R347 million), while inventory levels reduced 21% to R548 million (2016: R693 million) and simultaneously reflected enhanced composition. These results are discussed in greater detail in the review of operations. Maintaining the dividend cover at three times, the Board approved a final gross cash dividend of 14,0 cents per share (2016: 15,0 cents per share), which together with the interim gross cash dividend of 16,0 cents per share (2016: 14 cents per share), produces a total gross cash dividend declared for the year of 30,0 cents per share (2016: 29,0 cents per share), an increase of 3%. The dividend was paid on 11 September 2017. The Board and management of Italtile are committed to ensuring the sustainability of the business and entrenching an ethical corporate culture. The material issues and key risks which have an impact on our business are discussed in this document, together with the actions identified to mitigate such risks. Our stakeholders are of vital importance to us and their interests, concerns and how we engage with them are outlined in this document. Improving our responsiveness and accountability to our stakeholders is pivotal in ensuring responsible growth and sustainable profitability. The Group supports continued transformation of the composition of the Board to enhance the experience and expertise available to the business, and better reflect the demographics of this country. This commitment includes support for gender diversity. In this regard, the Board currently comprises three female directors (including the lead independent director), constituting 37,5% of the Board. In terms of the King IV report, the Group will address compliance with the principles, and where appropriate, the recommended practices outlined in the report. The Board is responsible for setting clear strategic direction, while management is held to account for delivering measurable results. The Group’s decision-making framework and structures are constituted to ensure an effective process within which key strategies are developed and implemented. The Group’s profit sharing practices, first introduced over two decades ago, are central to promoting ownership and partnership in the business with our employees. In 2014, we added another component, being an equity-settled Staff Share Scheme, aimed at incentivising employees to participate in the growth and profitability of the business. This scheme is extended to every member of staff who has achieved three or more uninterrupted years of service with the Group. In August 2016 the first allotment of shares in the scheme vested. A total of 334 employees qualified for the vesting. Cash payments after tax averaged R204 000 per individual. During the period a further allotment of 2,8 million shares (2016: 3,1 million shares) was allocated to 155 eligible employees of the Group and franchisees (2016: 161 employees). As at 30 June 2017, qualifying staff members held 7 million shares (2016: 15 million shares) of the Group’s shares net of forfeitures. I am delighted to report that after an 18-month process, the Competition Tribunal has approved the Group’s offer to acquire a further 74,5% of Ceramic’s issued share capital, bringing Italtile’s ownership of the company to 95,5%, and thereby simultaneously increasing its stake in Ezee Tile to 71,54% from 46% prior to the acquisition. As key strategic suppliers to the Group, this merger with Ceramic and Ezee Tile will ensure that the Group continues to attain its growth targets. I would like to thank the Board members and management teams of both Italtile and Ceramic for their perseverance and commitment to ensuring this deal reached fruition. I am confident that the integration of the businesses will be managed with the same enthusiasm and diligence with which the negotiation process was conducted. The acquisition is discussed in greater detail in this document. Nick Booth, formerly Chief Executive Officer, announced his decision to take early retirement with effect from 28 February 2017. He stepped down from executive duties on 1 December 2016, and was succeeded by Jan Potgieter, formerly the Group’s Chief Operating Officer. I am pleased to report that the management transition from Nick to Jan was effected seamlessly. I would like to thank Nick for his contribution during his tenure at Italtile, and previously Ceramic, and wish him well in his future endeavours. In Jan’s time since joining the Group in 2014 he has engendered a high level of commitment to retail excellence in the business and we look forward to his contribution as the Group continues on its growth trajectory. Management anticipates a difficult first half of the new financial year as the business continues to correct its stock levels and inventory mix and intensifies focus on containing costs across the operation. However, notwithstanding macro-economic challenges and continued pressure on consumers’ disposable income, the Board is satisfied that the range of remedial measures that have been implemented and the potential to leverage BOP which exists, will result in an enhanced performance in the second half. The Group will also continue to invest in the retail store network and supply chain to capitalise on expansion opportunities. Underpinning our strategy to achieve long-term business success are the dual principles which drive an ascendant organisation: a combination of the commitment of our people and control of the business processes. I am confident that if we continue to leverage this commitment and control we will attain our goal of becoming the best retailer in the world in our specific market segment. Together with my fellow Board members, I am satisfied that our dedicated staff, capable management team, clearly defined strategies and resilient business model, position the business to optimise the potential for growth in the business and the market, and deliver sustainable returns for all stakeholders in the year ahead. Our people are key to the success and growth of our business. Their enthusiasm and constant desire to attain the demanding targets we set is commendable and I congratulate them on their contribution. While the results for the review period under-performed our expectations, I have no doubt that our team will demonstrate their customary resilience and meet the challenges of the year ahead with renewed vigour. I would like to thank my colleagues on the Board for their guidance and counsel. We appreciate the continued support of our long-standing shareholders and welcome our new shareholders. Your recognition of our strong investment case is valued. I would like to extend my gratitude to our suppliers, business partners and advisers – your contribution is appreciated. We strive continuously to provide our customers with an unrivalled shopping experience. Over the period we honed our brand strategies to increase the “delight” and “disrupt-the-norm” factors, and the gain in market share which we have enjoyed is a pleasing endorsement. We will continue to uplift our offering for existing and new customers to ensure their loyalty is rewarded. Joanna Morapedi, or “Mama Jo”, as she is affectionately known, began working for Italtile Limited in January 1983. She was initially employed as a messenger, and subsequently joined the kitchen operations at Italtile’s Bryanston Head Office, where she feels she is able to do what she loves. 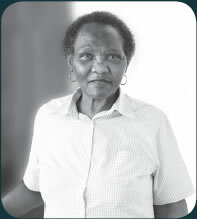 Joanna was a recipient of the Italtile Long Service Award, which enabled her to finance building her house and educate her children. Joanna believes the culture of learning and Ubuntu are the main reasons she has remained with the Group for the past 34 years. 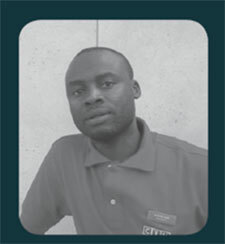 Johannes began his illustrious career with the Group 21 years ago, initially employed as a contract worker. 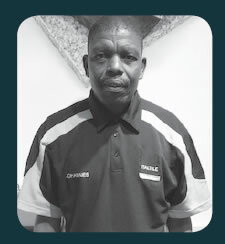 Over the years, hard work and perseverance resulted in Johannes being promoted to assistant warehouse manager for Italtile Retail in Bryanston and later, Pretoria, a position he held until he was appointed warehouse manager at Italtile Pretoria in 2004. Johannes shares that he initially felt he was not equipped for this role, but thanks to the mentoring and training received from management and colleagues, he was able to gain the skills needed to excel in this position. He believes that the exceptional training provided to staff enables them to deliver a consistently high standard of service throughout all the Italtile Retail stores. Johannes advises new staff joining the Group that the key to success in this line of business is to conduct your work honestly and look after the customer’s needs first. Richard Dube started his career at CTM in November 1997, having previously worked in the hotel and fast food industries. He has since worked at a number of CTM stores around the country where he held numerous positions, ranging from packer to assistant store manager. Richard is currently a regional leader, store manager and co-owner of CTM Boksburg through a joint venture partnership. Coming from humble beginnings, Richard recalls the hardship in the early days of his career of using several modes of public transport from as early as 04:00 in order to get to work on time. It was his aspiration to own his own home one day that motivated him to persevere through these tough circumstances. Richard considers himself an entrepreneur at heart, but attributes a great deal of his personal and professional growth to CTM. He is passionate about sharing his knowledge and training others and notes that a manager is only as strong as his team. Richard believes he has been able to reach his full potential thanks to the extensive development and mentoring opportunities that CTM has made available to him. These opportunities have taught him not only how to manage a business, but they have also equipped him with the skills needed to become a business owner. Most importantly, Richard is grateful to CTM for enabling him to fulfil his personal goal of owning his own home and being able to take care of his family.